A couple of days ago we went to a Kenyan restaurant named 3stones. 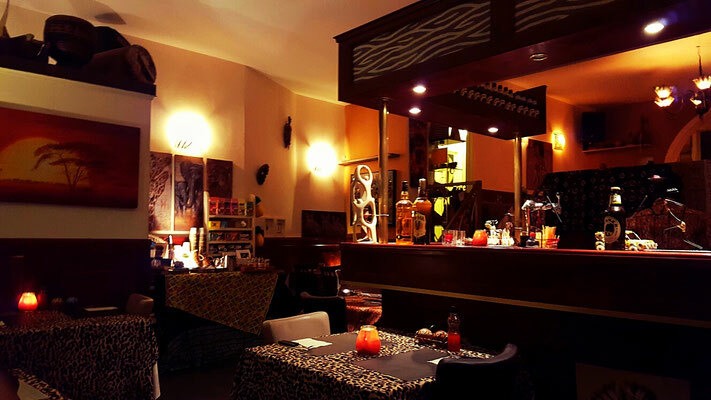 This restaurant is not a typical restaurant which you find in the main street of a city. We had to bike about 10 minutes from the city center of the Hague to the restaurant. We picked this restaurant because we got a discount coupon and me and my boyfriend had decided to step more often out of our comfort zone. We never had Kenyan food, so we did not know what to expect. If you are not looking for the place, then you would probably just walk past it. It is a pretty low-key place. There is not even a sign on the outside of the restaurant stating its name. The interior of the restaurant is pretty tacky, but I guess they matched the theme of the restaurant. 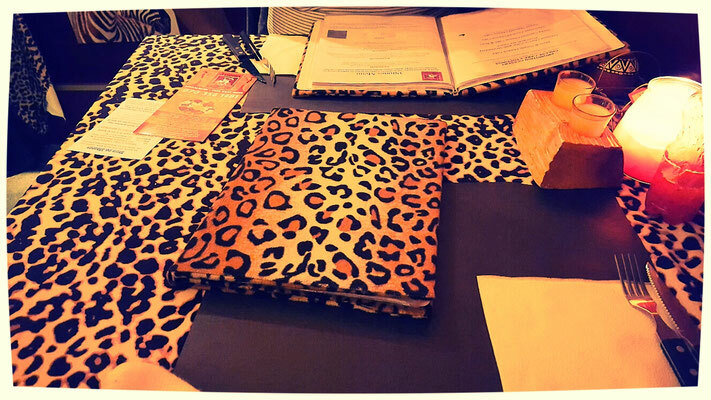 The tablecloth, as well as the menu cover, were in leopard print. Other than that the waiter was very friendly and did his best to serve us well. Once we got seated at our table the waiter brought us complementary drinks made out of orange and passionfruit. The coupon allowed us to have a 3 course menu for half of the prize. Because of the coupon, we could only choose the first course and our dessert. The main course was already set. For the first course we chose the mildly spicy chicken sambuza. This was very, very delicious! As the main course arrived we were worried we could not finish all that food! They brought us a big silver platter on which there were several bowls. One bowl filled with coconut rice, one with beef stew, one with chicken curry, one with marinated soya balls and two pieces of chapati bread. After our main course we chose cheesecake for dessert. 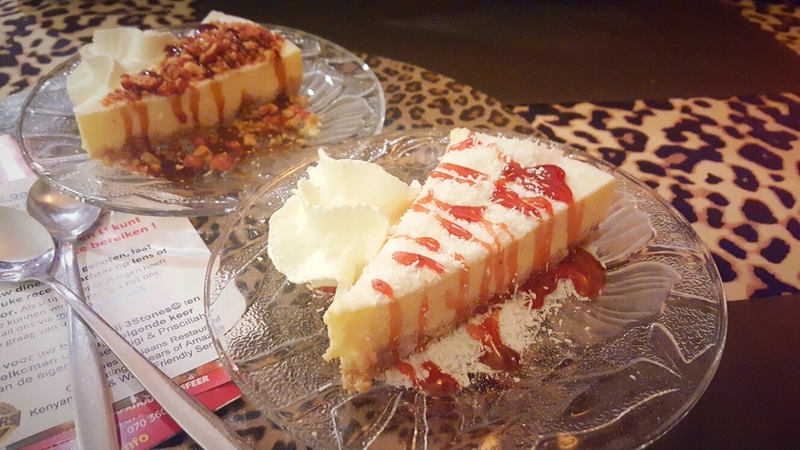 For myself I chose cheesecake with a strawberry and coconut topping. My boyfriend chose cheesecake with a caramel and nut topping. I could not finish it since I was already stuffed from the previous courses. In the restaurant you can also use the tea bar. For 2 euro's you can drink unlimited thee during your meal. They also have some other remarkable deals such as ''bring your own bottle of wine''. We will definitely go to this restaurant again, if not to get takeout food. This shows again that you should not judge a book by its cover.